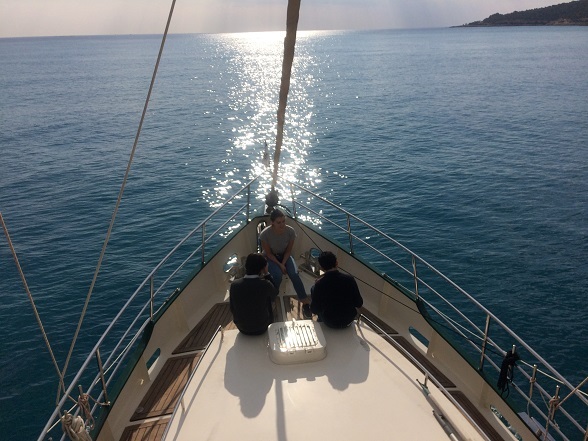 Proceeding on a flat Mediterranean we do recognise the more unstable weather when cruising in December. Not only do you risk a higher frequency of gales but also the risk (allthough low) of temepratures below zero. We used Passageweather/Windguru and the local Turkish forecast . They are (as usual) a bit inconsistent with each other but we had no major surprises.